Search For "Legal" Companies in Bellevue, Washington - Click Here Now! 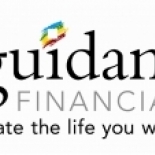 The Self-directed IRA And Small Business Financing Leader, Guidant Financial Helps Investors Access Retirement Account Without Penalty Before Retirement Age. Our Services Enable People From All Walks Of Life To Purchase Alternative Investments (i.e., Real Estate, Small Businesses, Mortgages, Tax Liens, Etc.) Inside Their Retirement Plans As An Investment, Without Taking A Taxable Distribution. We Have Helped Thousands Of New Business And Franchise Owners Obtain Alternative Small Business Funding By Providing Innovative And Easy-to-use small Business Financing Solutions. Guidant Financial in Bellevue is a company that specializes in Legal Services. Our records show it was established in Washington.